By installing photovoltaic panels to produce power, you create the potential to reduce, eliminate or even reverse your monthly utility bill! If you looked at photovoltaic energy in the past, but believed the prices prohibitive, improvements in efficiency and technology combined with various incentives have significantly lowered the bottom line. Solaron is assisting property owners throughout Dixon to see these benefits from photovoltaic energy. Although there are numerous different companies producing photovoltaic panels, Solaron is proud to be an Authorized Dealer for SunPower. Compared to other standard models, SunPower photovoltaic panels convert the largest percentage of sunlight into power, up to 44% more per square foot than competitors. SunPower manages the entire manufacturing process, making the industry’s finest quality, best-looking photovoltaic panels. 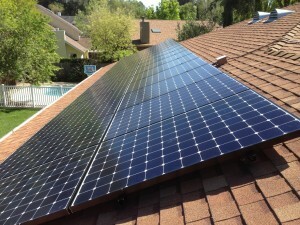 Also, SunPower panels come with a 25-year efficiency warranty. A great product installed by a reliable company is a winning combo!